Influenster sent out their Poppy VoxBox this month! There was a variety of products in this voxbox that were beauty based this time around, which are my favorite type of boxes If you want to know more about Influenster, keep reading! 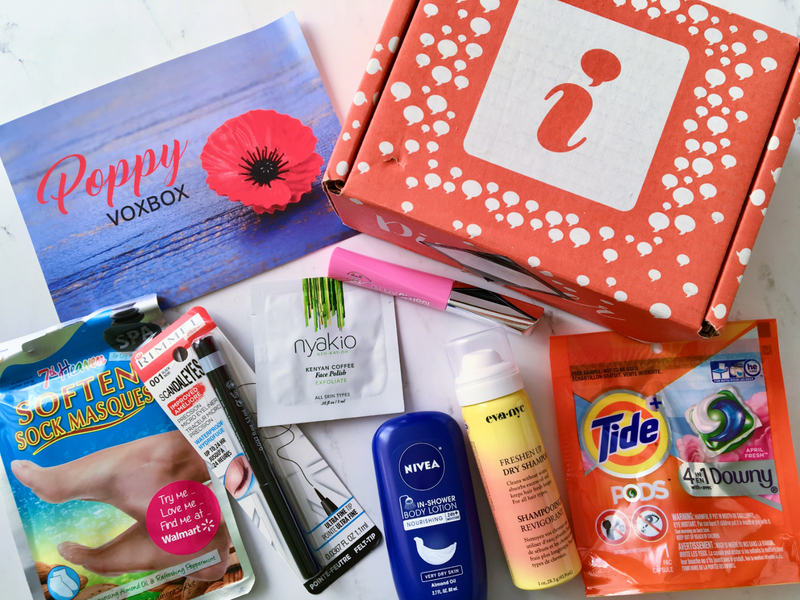 What's inside the Poppy VoxBox? Nivea In-Shower Body Lotion: leaves skin feeling soft, smooth, and moisturized for at least 24 hours. The best part is that you apply this product while you're in the shower. If you have dry skin like me this worked great! Eva NYC Freshen Up Dry Shampoo: is a weightless spray that absorbs excess oil and adds instant volume. It doesn't leave that white residue in your hair that we all hate which is a plus! It also smells really good and would definitely purchase the full size product. Tide Pods Plus Downy April Fresh Scent: These pods are great when it's time for laundry day. They claim to "clean, protect colors, fight stains, and protect your clothes from damage in the wash." I tried these out this past weekend and it worked perfectly with the heavy load I did. 7th Heaven Soften Sock Masques: contains shea butter, almond oil, peppermint, and soy bean. These ingredients work together to nourish dry skin, repair cracked heels, freshen and rehydrate your feet. This was pretty cool, I never used an at home foot mask before and left my feet feeling extra soft and smooth. Your feet will thank you and you'll be ready for sandal season in no time! Rimmel London Scandaleyes Micro-liner: has n ultra-thin felt tip liner that draws a super precise line on the eye. It's waterproof, smudge-proof, and provides intense color that lasts up for 24 hours. I'm very picky with liners because I'm a winged liner kind of girl. I was pleasantly surprised with how well this worked and impressed how long lasting it is! 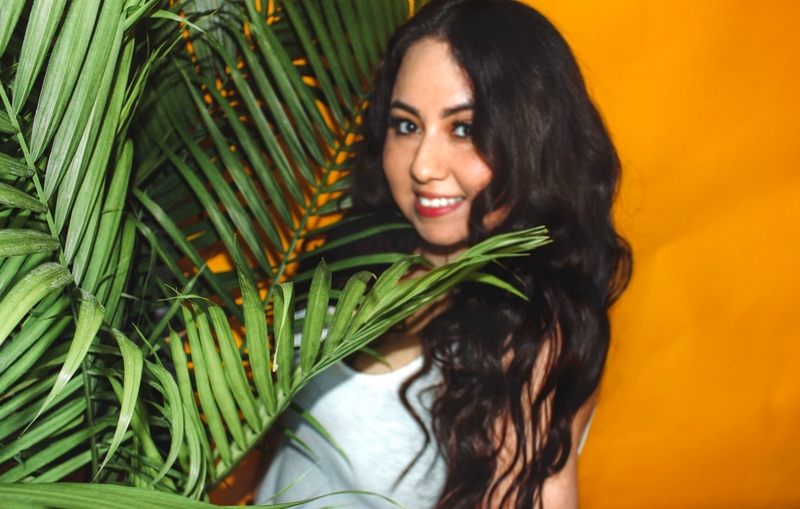 Rimmel London Oh My Gloss Oil Tint: the color I received was Master Pink and provides a glossy finish and nourishing care to your lips. It doesn't leave that sticky feeling that most lipglosses leave behind but giving you a subtle shine and hydration. Nyakio Kenyan Coffee Face Polish: contains Kenyan coffee, antioxidants, jojoba, and shea butter. These ingredients work to exfoliate dead skin and brighten. This scrub made my face super soft and smooth without being too harsh. What's your favorite beauty product right now?